a Scrapbook Adhesive MyStik. WOW!!!! Scrapbook Adhesives by 3L(r) has been delivering high quality adhesives to the craft industry for 10 years. They focus on a complete line of rigorously tested and approved adhesives that are safe for all of your crafts. Scrapbook Adhesives by 3L offer a range of products from high dimension 3D foam to sting permanent and repositionable adhesive dispensers, tabs and sheets, along with photo corner and other memory keeping adhesive products. We provide value in easy to use products in a variety of adhesives. 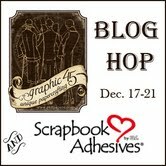 Follow our blog at www.scrapbook-adhesives.com/blog, and find us on Facebook, you Tube and Pintrest too! Now for our DT schedule up on the Graphic 45 blog this week: Just click this link to see the full reveal, pics and detailed supply lists that go with each project. 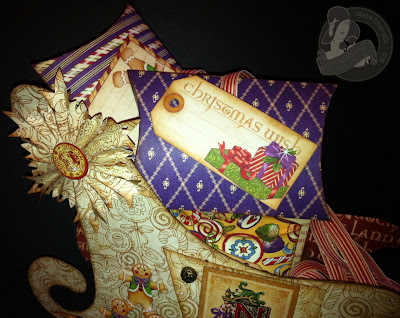 With Christmas upon us I decided to make a table decoration using G45 papers and Scrapbook Adhesives fab foam squares. 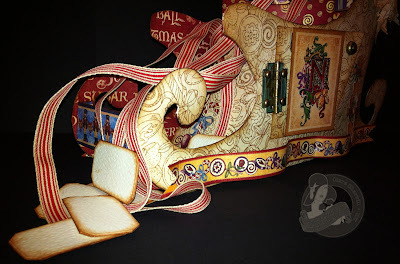 The sleigh is full of pillow boxes that have small presents in for everyone who'll be sitting down for Christmas Dinner. 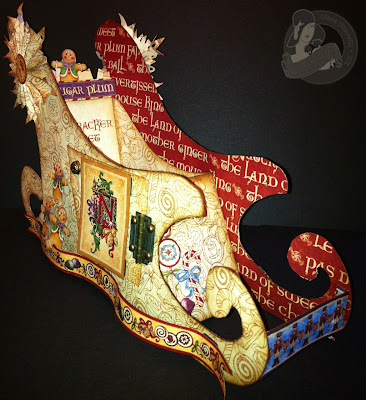 I used one of Sandra's amazing templates from the House of Zandra to cut out the sleigh. If you haven't visited her web site it's well worth hopping over. Just click on the link above. 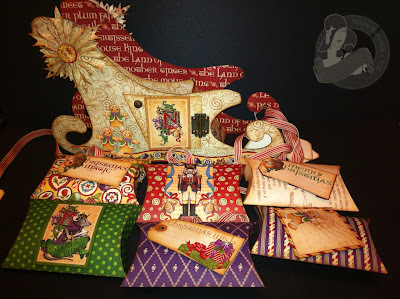 Papers, cut aparts and images are al from the Nutcracker Sweet collection and attached using Scrapbook Adhesives 3D foam squares. I've used metal hinges and stamped metal brads on the doors too. Each box has a ribbon with a nameplate at the end. i just love with your adorable project , eye catching and ofcourse i got much inspirations from you.. Happy craftings and Merry X'mas !! So beautifully done - I love it! What a wonderful project! Wishing you a happy one! Everything about this is Wonderful!! 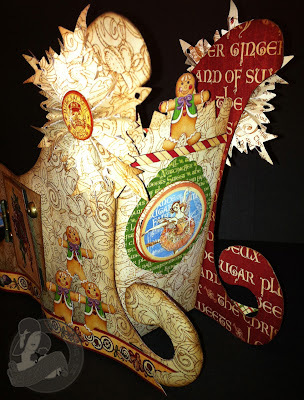 Love how you used the 'Nutcracker Sweet' papers!! They are definitely perfect for this project! Thank You! Happy Christmas!! Morning Clare, WOW oh WOW, this is fantastic. A marriage made in Heaven, Graphic 45 and Scrapbook Adhesives. Fantastic projects. Incredible to say the very least. I would love to have one of these for my decor. NS is my favorite of the G45 line this year. 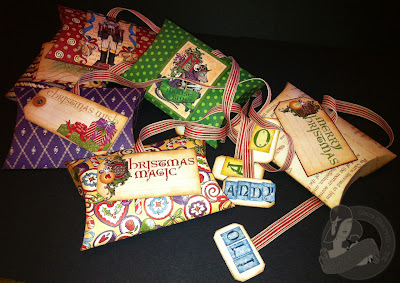 Gorgeous, i hope that you are using this for the holidays, loving the colors! 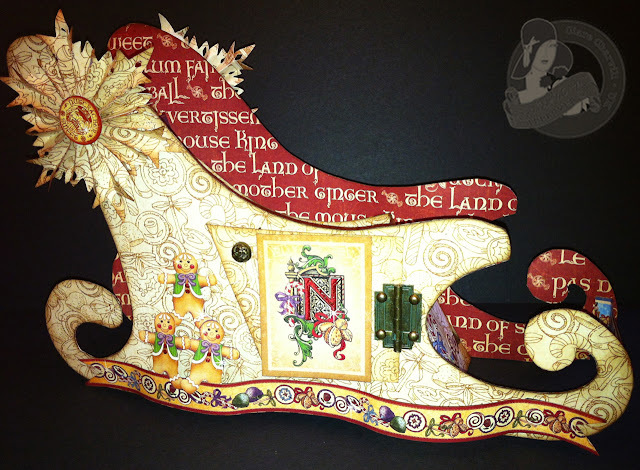 Your sleigh is Wonderful! I may have to try this before Christmas. Thank you for the chance to win such a wonderful prize. So cute! This would be so cute under my tree! This is AMAZING. You are so creative!!!! I am to excited to have come across your blog, I found it via a youtube tutorial. I found it at an exciting time I see. What an amazing giveaway. I would be most excited to win. I just LOVE graphic 45's papers. 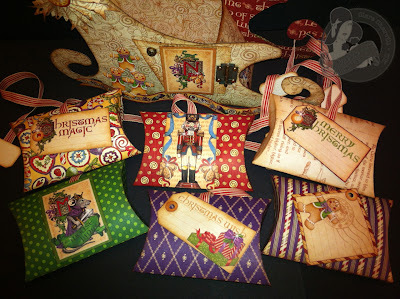 I also love the creative projects that Graphic 45 and their team of extremely talented crafters come up with for the different paper collections. Wishing you a happy holiday season. I just LOVE this project! 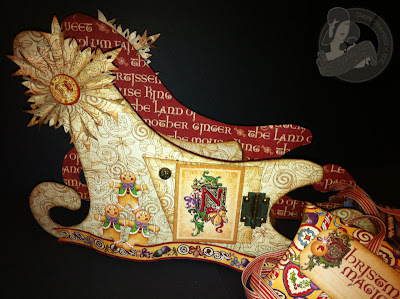 Oh It's wonderful, great idea to make something unique that is not only personal but also so GORGEOUS! Thank you for sharing! Excellent creation.Learned something about crafts here. I am gonna buy some sticky adhesive and start making something very soon. ugg boots cheap jerseys from china oakley black friday Giuseppe Zanotti sneakers prada outlet Jimmy Choo shoes on those who desire to change your man of the cloth's module. say them what to countenance for many construction that you person lettered, you can with cash solitary.